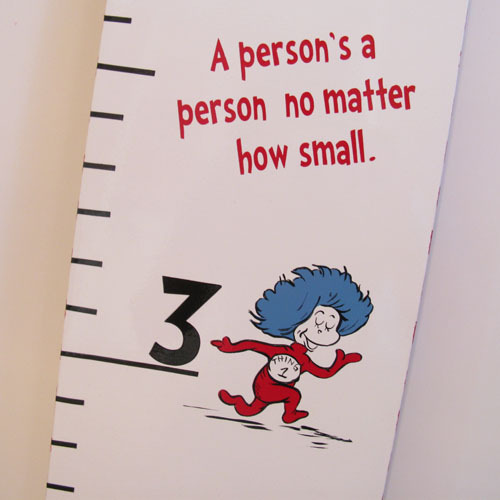 This growth chart is hand painted and customized with classic Dr. Seuss characters and one of the best Dr. Seuss quotes ever "A person's a person no matter how small". 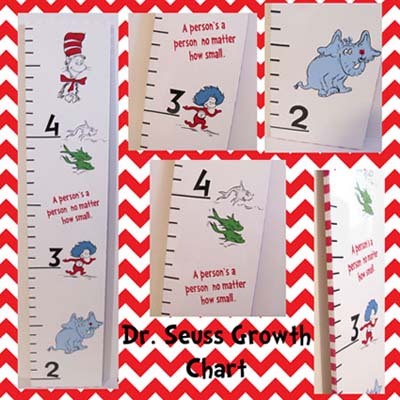 A perfect way to chart your child's growth and coordinates perfectly with any Seuss decor or Seuss themed room! Sides are painted with adorable cat in the hat red and white stripes. 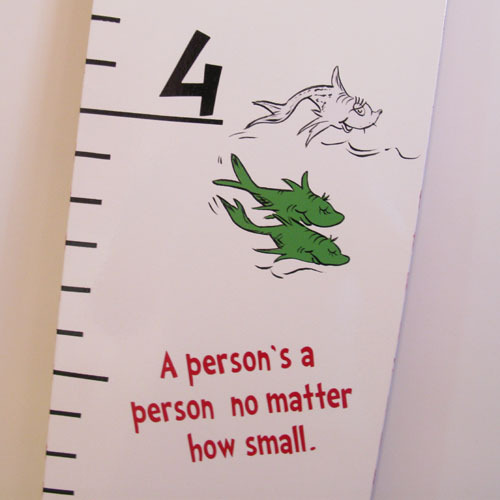 Growth Chart is made of wood. A beautiful keepsake that will last forever. Add your child's name for just $5 more.